A natural perfume made with real fruit extracts with an uplifting scent like the first day of spring. This is a highy concentrated perfume that uses modern technology to extract the scent, macro nutrients and botanical properties of the fruits. Smells delicious but is also nutrient rich for your skin. 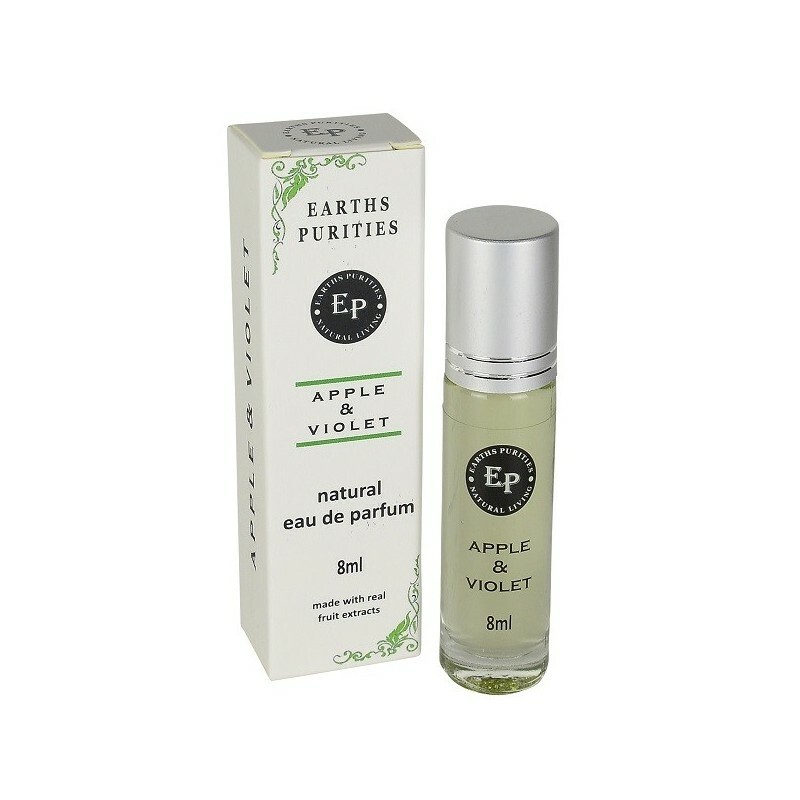 Apple and violet scent. 8ml. Sweet floral and apple scent. Made on a base of organic coconut and jojoba oils. Roll directly onto skin on pulse points. Organic coconut oil, jojoba oil, pyrus malus extract (apple), Violet Leaf essential oil, Vanilla planifolia. 8ml. Glass roll on applicator. Browse our other natural perfumes. Great to have a perfume that has clean ingredients and smells nice and fresh. 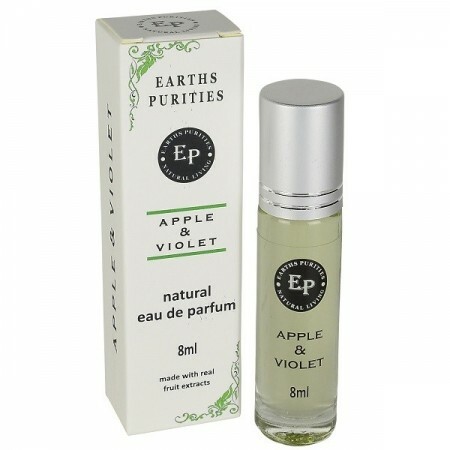 This perfume has a lovely floral scent, lasts a decent while and is a great alternative to mainstream perfumes. It does tend to get a bit oily on the outside, so I store mine inside the box. Very nice for the price. It is a light fragrance, not strong-smelling, and is not recognisably one particular scent (which is a god thing). I really like this. It does seem to fade quickly, but I can't tell for sure, I haven't worn it for the day yet, only for the evening. I think it's very nice.